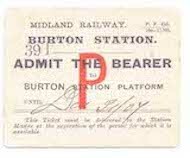 The Midland Railway Study Centre is indebted to the Burton Railway Society for allowing it to record details in a staff changes book which was in use at the engine shed from mid-1875 to mid-1911. The pages were photographed by Roger Newman and have been transcribed and analysed by Glynn Waite, Paul Walpole, and Mike Shaw – all Midland Railway Society members. This has not been an easy task. The book contained almost 8,400 entries, with a large proportion of people being mentioned on multiple occasions. Once the transcriptions had been completed it was necessary to sort the names into alphabetical order and then by date. However, the data could not be added to the Study Centre website in this format as there were changes in the way it had been entered during such a lengthy period of time with, for example, some being based on the post transferred from and some on the post transferred to. This could have confused those unaccustomed with railway practices, so many of the entries were adjusted to produce a standard format. 1. The pages covering the period between the end of January and end of May 1878 had come detached from the book and were missing. It has been possible, however, to make certain assumptions about changes during this period from determining the chronological order of events. a) Entries for footplate staff (Cleaners, Firemen, and Drivers – see Note 8) are more comprehensive than those for other staff. b) Entries for conciliation staff (Labourers, Steamrisers, Callers Up, Fitters, etc.) are less comprehensive, and it is clear that during some periods little effort was made to record all events. c) There are no entries for clerical and supervisory staff before the first decade of the 20th century, and even then they are somewhat limited. 3. Commencing on 4th August 1887, there was a short unofficial strike by footplate staff. The Midland Railway cancelled all contracts at the start of the strike, with the consequence that those who participated in it were effectively sacked. Few of these cases were recorded and the likelihood of what happened to certain individuals has been determined from the lack of future entries and reference to census entries, etc. However, cases affecting young Cleaners were generally recorded, possibly because at that time there were no contracts relating to their employment. Some footplate staff were subsequently re-employed, but ‘vacancies’ were often filled by men ‘off the street’, who had probably worked on brewery railways and the like. In odd cases, they found the work not to their liking and left within a few days. 4. One particular feature relating to Burton Shed that became obvious when transcribing the entries was that the volume of work, and therefore the number of footplate turns required, reduced in the summer months. The consequence of this was that junior staff in particular grades were demoted (the railway term was “put back”), while the junior cleaners were just discharged / dismissed. Some were re-engaged when work picked up, if they had not found another job by that time. It is also clear that in some instances employees foresaw what was to happen and left before being sacked. On the other hand, some men left after a few days or weeks of being employed, presumably finding that they were not suited to the job. 5. It will also be noted that a relatively large number of staff were discharged for a variety of misdemeanours - some involving alcohol, which was perhaps more easily available at Burton, although during this period there were few licensing laws. 6. 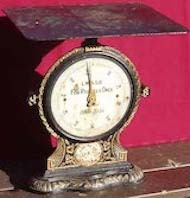 When men were taken on at Burton it was the usual practice to record their ages and the dates of their last birthdays. This information has been converted to give dates of birth and should help researchers identify their relations. However, a word of warning. Sometimes incorrect dates and ages were quoted if it was felt that this would help the applicant secure employment. In some departments it was not common practice to check birth certificates, but it does appear that specific effort was made at Burton Shed, as there are cases of staff being discharged for not providing correct information. Walsall – until 27th June 1879, when responsibility was transferred to Saltley. Moira (known as Overseal in more recent times) – throughout the period of the book. 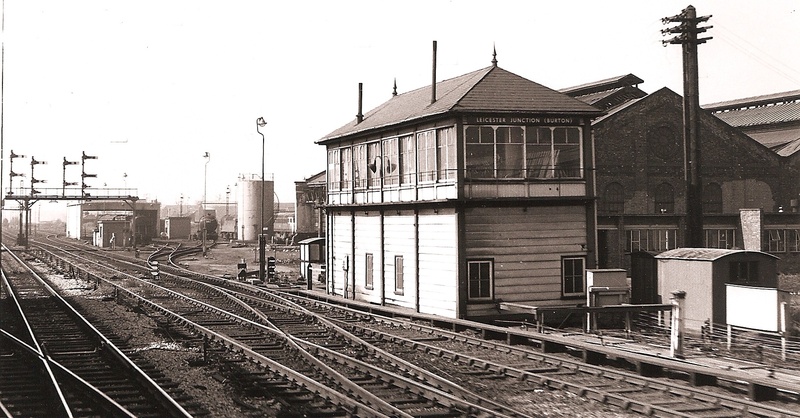 The shed was jointly operated by the London & North Western Railway, but with the two companies employing their own staff. Stoke-on-Trent – a facility provided at the North Staffordshire Railway Shed. The first entries concerning transfers to this shed were made in 1895. Passed Cleaner – still a Cleaner, but could also act as Fireman if no-one in that grade was available. Fireman – once a set number of firing turns had been worked when a Passed Cleaner. Passed Fireman – still a Fireman, but could also act as Driver if no-one in that grade was available. Driver – once a set number of driving turns had been worked when a Passed Fireman. There were intermediate and maximum rates of pay in each grade, which were achieved after a set period, or having worked a set number of turns. A few senior Drivers could be promoted to Passenger Train Drivers, which gave them an enhanced rate of pay. On the other hand, they could be demoted to Shunting Drivers. Such moves were often the result of ill health, or a misdemeanour. 9. In odd cases, there are entries for two or more different people with the same name. In order to differentiate them it has been necessary to add a number after the forename(s) – e.g. John (1) and John (2). 10. The majority of entries in this section are abridged versions. This is partly due to the length of some of the entries. However, if you believe a particular person is one of your relations then please contact the Study Centre Co-ordinator as detailed below, who will provide you with all known information.